The RV Braveheart, owned by Stoney Creek Shipping will be home for the for the expedition crew. At 39 metres long, constructed of steel, with a helicopter deck and capable of steaming for 33 days non-stop, owner Nigel Jolly says they have been doing the impossible since 1995. The vessel has visited the Kermadecs many times and has spent time in parts of the Pacific and Southern Oceans including the remote Pitcairn Islands and Kerguelen Island. The vessel is well equipped for research expeditions, can handle 16 metre swells and has even carved its way through ice in the Antarctica. International agencies who have used the RV Braveheart include National Geographic, the UK Government and New Zealand Department of Conservation. 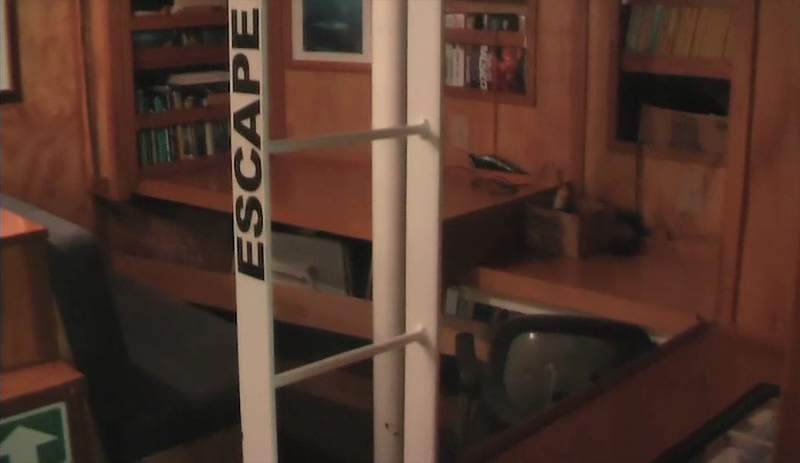 The crew will sleep in twin cabins with a bunk bed and a mess room is where they will socialise. There is a cook on the RV Braveheart and all the food will be on board at departure as no fish or any other food is allowed to be collected in the Kermadec marine reserve. Last slipping for survey: Jan 2007. Under New Zealand Safe Ship Management. Owned and operated by Stoney Creek Shipping Co. Ltd since 1998.